Successfully Added Wireless IP Camera with Night Vision, Motion Detection Alarm, and iPhone Support (Black) to your Shopping Cart. Wireless IP Camera with instant video streaming across the Internet, so you can view and record live footage from anywhere in the world. Also includes video recording, night vision, and motion detect alarm. 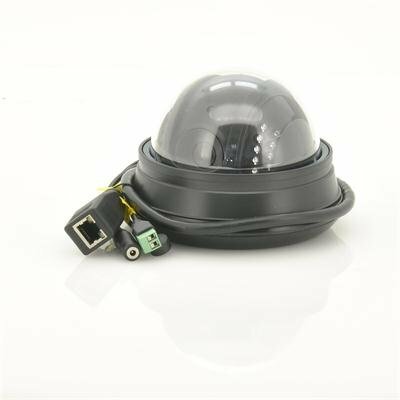 Another impressive feature of the camera is that it can be configured to automatically send you an alert email as soon as it detects motion in its field of view. Should you choose to, you can then log into the camera and view what is happening remotely and in real time, even from the other side of the world. Also includes 22 infrared LED lights for excellent night vision. This Wireless IP Camera with Nightvision and Motion Detect Alarm is brought to you by Chinavasion at an astonishing low wholesale factory direct price. Click "Add to Cart" right now and we'll express ship you a sample to enjoy it for yourself. Then when you see how outstanding the quality is, feature it on your online store for some easy and high profit sales for your website. NEW: Now with iPhone login support - View a live feed right from your phone! Great product. Easy to configure and setup. Very happy with the product and software. on 2013-05-23 01:35:43 Amazing picture and amazing value! I bought this to replace my old security camera that cost me 4 times the price. Within 15 minutes I had live video streaming to my Samsung S4 phone and my Tablet. My advice is get one now before they sell out.